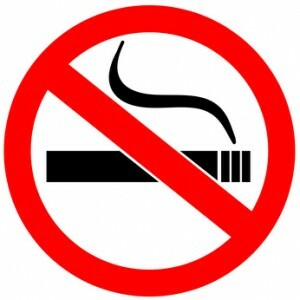 Two recent disputes over secondhand smoke highlight how the issue may impact landlords who do not have smoking bans. In a recent decision, the B.C. Human Rights Tribunal awarded damages to two strata corporation residents who repeatedly complained about secondhand smoke. The building did not have a smoking ban. The residents complained multiple times that cigarette smoke was entering through windows from nearby patios and balconies, and later disclosed that they suffered from disabilities. One resident suffers from diabetes, and the other was pregnant. Later, the mother complained of anxiety, depression and related symptoms stemming from the smoke, and from the ensuing conflict. The couple requested a bylaw that prohibited smoking, or alternatively, for the strata management to prevent smoking under the nuisance bylaw. The strata management responded by telling the couple to buy an air conditioner so that their windows could remain closed. Management refused to hold a vote on the smoking bylaw at a regular meeting, and instead told the couple that they would have to petition other residents to call a special meeting to consider the problem. At the suggestion of Smoke Free Housing, B.C., the mother started a journal detailing the smoking occurrences. The journal entries were entered into evidence before the Tribunal. After some time, the strata management became concerned about the number of residents smoking marijuana on the patios and balconies, and called a special meeting to vote on a smoking bylaw. That bylaw was passed, but only with respect to marijuana smoke. The Tribunal found that the management discriminated against the couple by failing to accommodate their disabilities. The management was ordered to pay $6,500 in damages for physical and emotional pain, and an additional $1,500 for the inconvenience of the complaint, and to reimburse the cost of the air conditioner. Another secondhand smoke case is still pending before the B.C. Human Rights Tribunal, in this instance, brought by a tenant against her landlord. Here, the tenant has a disability which she claims is exacerbated by the secondhand smoke from adjoining units. The landlord filed a motion to dismiss the complaint, referencing the fact that the parties are involved in settlement negotiations. In rejecting the motion to dismiss, the Tribunal explicitly states that the refusal to dismiss is not to be construed as a reflection on the merits of the tenants’ claims. However, the decision also states that, if the merits of the case are proven, it would “be unusual if the Tribunal did not make some award” for injury to dignity, feelings and self-respect. Tenants do not need to suffer from a disability to claim damages for secondhand smoke injuries, or to break a lease. Where a tenant can show that the smoke unreasonably interferes with their quiet enjoyment or constitutes a nuisance, the landlord may be liable for not remedying the situation. Smoke Free B.C. advises that to prove a breach of quiet enjoyment, a tenant or landlord must show that the disturbance is frequent, on-going and a significant interference with the use and enjoyment of a tenant’s home. With secondhand smoke, it remains unclear just how much is too much.